British triathlete Jodie Stimpson recorded an early season win in Australia at the Devonport OTU Sprint Triathlon Oceania Championships. The 24-year-old from Birmingham finished in one hour three minutes and 24 seconds, almost a minute ahead of Gwen Jorgensen of the USA. Aileen Reid of Ireland came in third in 1:05:10. 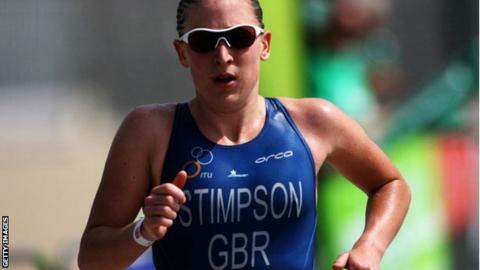 Stimpson said she was "happy to take the win" ahead of the international triathlon season in April. She got into a small group alongside Reid and the early leader, Maddison Allen of Australia, after overcoming choppy surf conditions in Tasmania in the 750m swim. The trio started the next event, the 5km run, with a significant advantage over the chase pack, which included Jorgensen, and Stimpson made an excellent start, opening up a big lead. Despite Jorgensen running through the field into second place, Stimpson was the faster runner on the day, extending her lead to claim the victory and the fastest run split of the day. Stimpson did not make the triathlon team in London 2012, losing out as Team GB selected domestiques, whose roles were to assist other faster athletes in the team.